I’ve got two zines I’m working on right now and want to get finished soon. They’re about 75%-80% finished. I wanted to have them done for the weekend, when I did a stall, but I didn’t have time, and didn’t want to rush them. I didn’t want to rush them, and then I ran out of toner anyway. 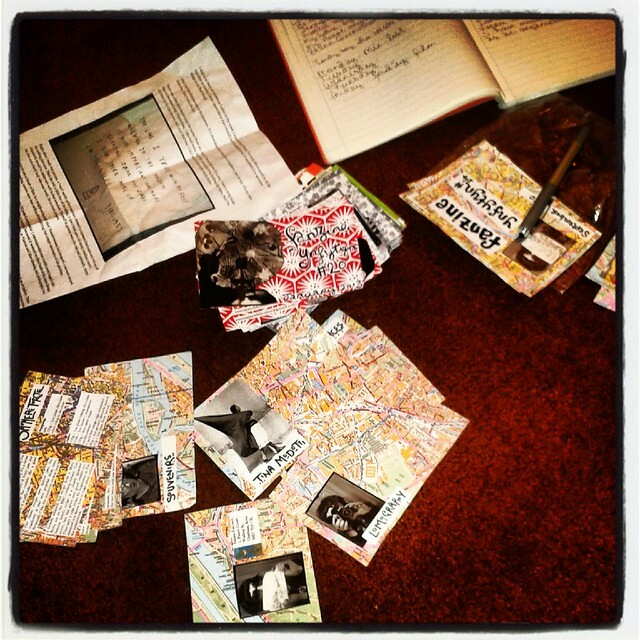 The one made of maps is about Vienna, issue 14 of Fanzine Ynfytyn. I actually started it in 2010 and mislaid the pages. Better late than never. The other one is issue 20 of the zine, it has the usual sort of stuff- this time Jeff Mangum, foxes, and North Korea. They will each be the usual 24 1/4 sized page b&w zines for 80p.